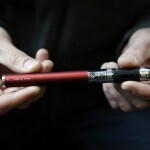 Apparently the FDA found small traces of diethylene glycol, an ingredient used in antifreeze, in one sample of electronic cigarette solution they analyzed. They are also concerned that teenagers will get addicted to electronic smoking. How serious are these issues? Are e-cigarettes harmful devices that should be banned? Lets get the facts straight and put all this information into perspective. Diethylene glycol may be a toxic ingredient but exactly how toxic is it? 1. It is has one-tenth the toxicity of aspirin. 2. It has one-fortieth the toxicity of nicotine (the primary ingredient in electronic cigarette vapor). You have to wonder why the FDA is focusing so much on the minute traces of diethylene glycol found in one sample when clearly this is a very common ingredient many of us are ingesting regularly. That’s not to say that diethylene glycol is totally harmless and we shouldn’t have any concerns about it. But when the FDA starts focusing on words like ‘diethylene glycol’ and ‘anti-freeze’ it sure does sound scary. However, a little bit of education on the facts puts it back in perspective doesn’t it? By the way, water is another ingredient found in anti-freeze! The FDA tends to give the impression that they have regulatory control over nicotine. That is not always the case. They regulate smoking cessation products and claims. That’s why electronic cigarettes are marketed as a smoking alternative and not as a means to quit smoking. “These products are marketed and sold to young people and are readily available online and in shopping malls. They are also available in different flavors, such as chocolate and mint, which may appeal to young people”. There is absolutely zero evidence that e-cigarettes target teenagers. Just the opposite… the marketing is focused on adults who already smoke and are searching for a healthier alternative they can use in public places. And here is some breaking news: Adults like to shop in malls and enjoy a variety of flavor choices too! 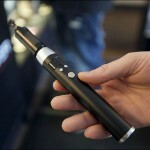 Besides, the initial cost of entry for a top of the line electronic cigarette is not practical for most teenagers. I encourage you to do your own due diligence and research the electronic cigarette to see if this is something that will benefit you. Look at all sides of the story and try to get unbiased information. Right now the FDA appears to be biased against electronic smoking for some reason. Do they have a hidden agenda? Who knows… but I think I detect trace elements of BS in the FDA reports!